Caring Solutions San Antonio is dedicated to providing exceptional in home care to seniors and individuals needing assistance. Our goal is to improve the quality of life for our clients and help them maintain their independence, while offering peace of mind for their families. Our caregivers are dependable people who were chosen for their commitment, experience and qualifications. 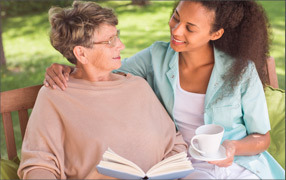 After the initial assessment, we will find the best-qualified caregiver for your unique situation. We always look for the right “chemistry” between client and caregiver and won’t be satisfied until you’re satisfied with the match. We will conduct a free in home assessment with client and family. 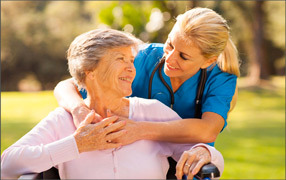 All services and schedules are tailored to the needs of the client and our caregivers are available for daily, weekly, overnight or 24 hour assignments. If you would like to apply to be a Caring Solutions caregiver we would love to hear from you. We are always looking for compassionate, honest and patient individuals to add to our team.